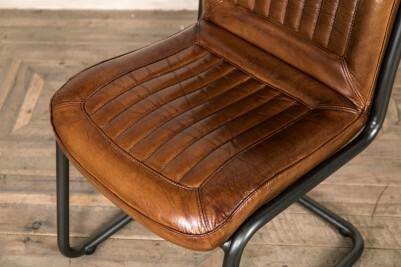 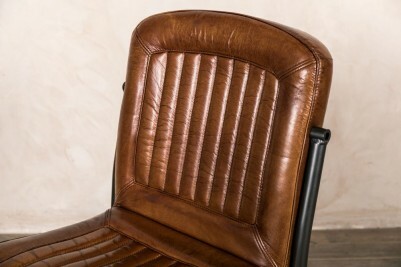 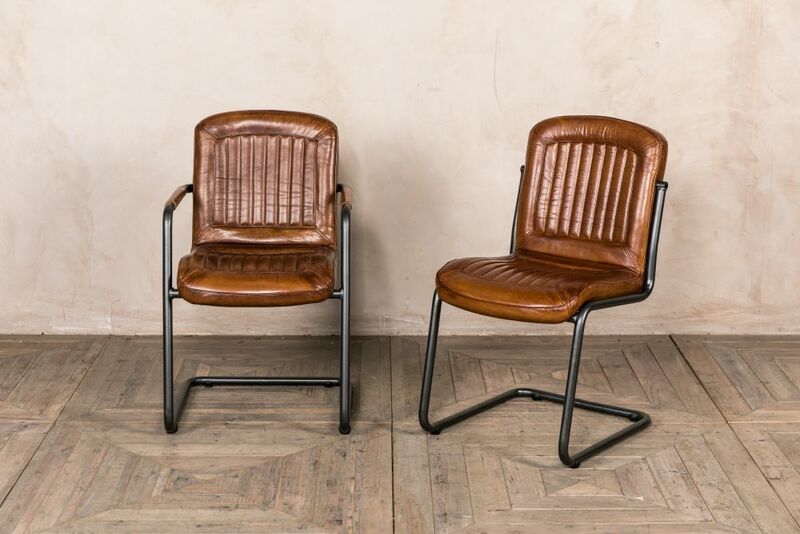 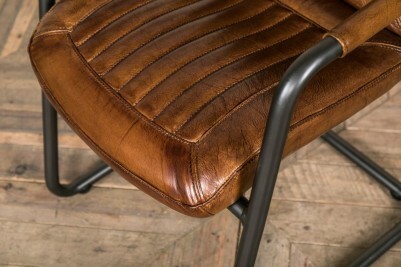 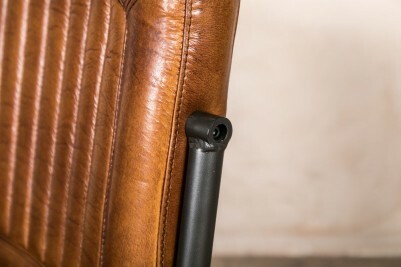 The ‘Sandown’ leather dining chairs are a new addition to our extensive seating range. 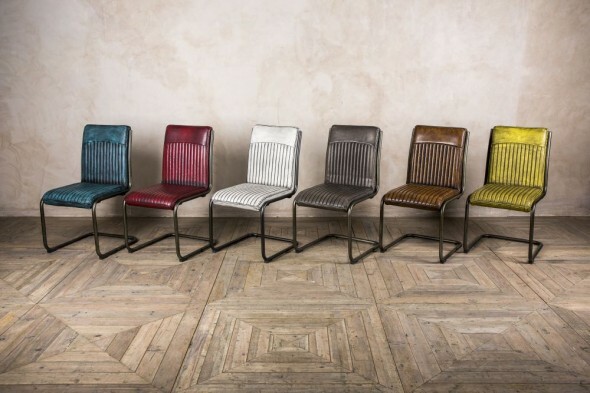 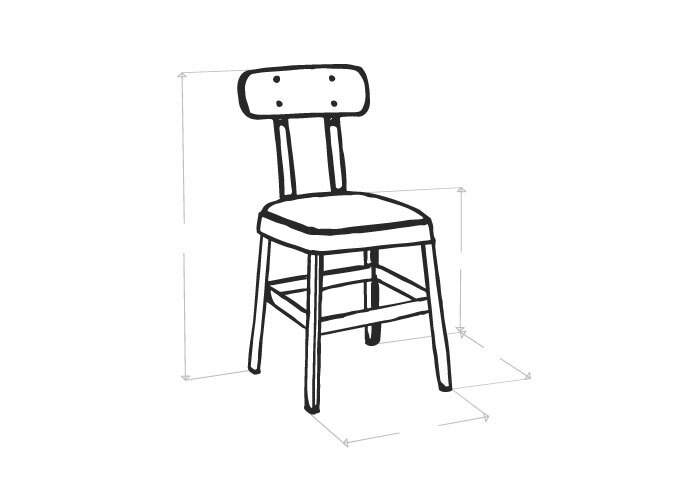 The chairs are available as a carver or side chair. 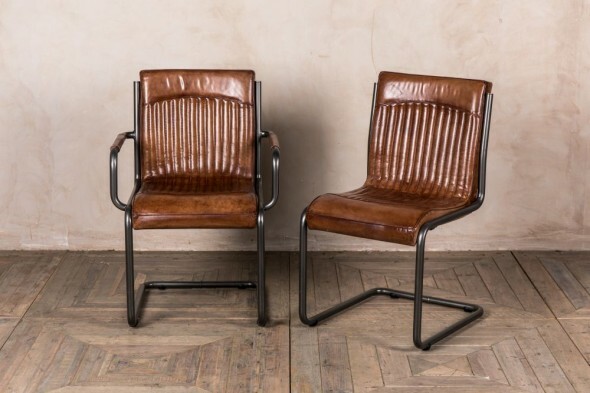 Both styles feature gunmetal floating frames, and tan ribbed leather seats. 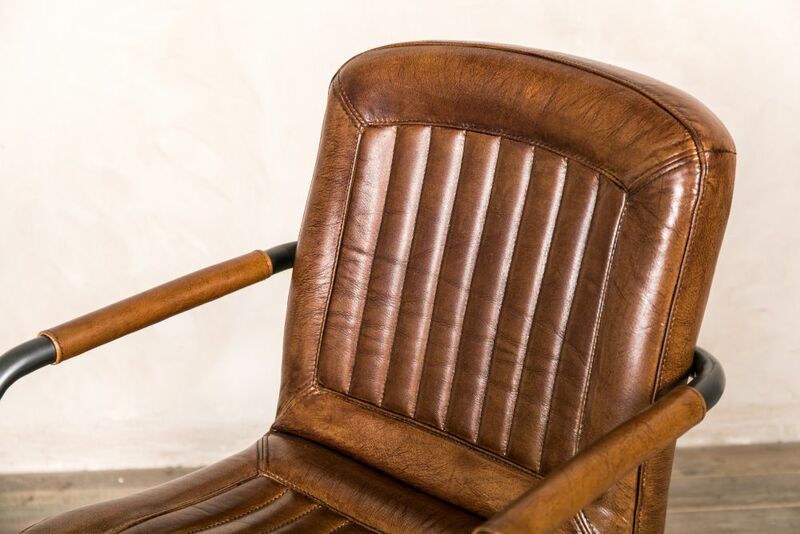 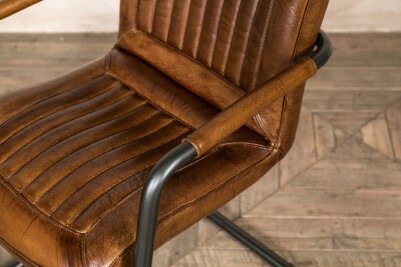 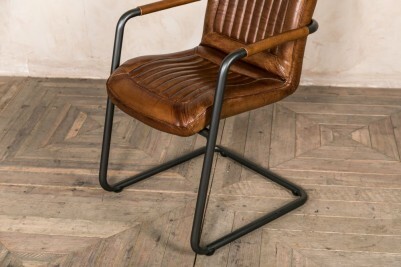 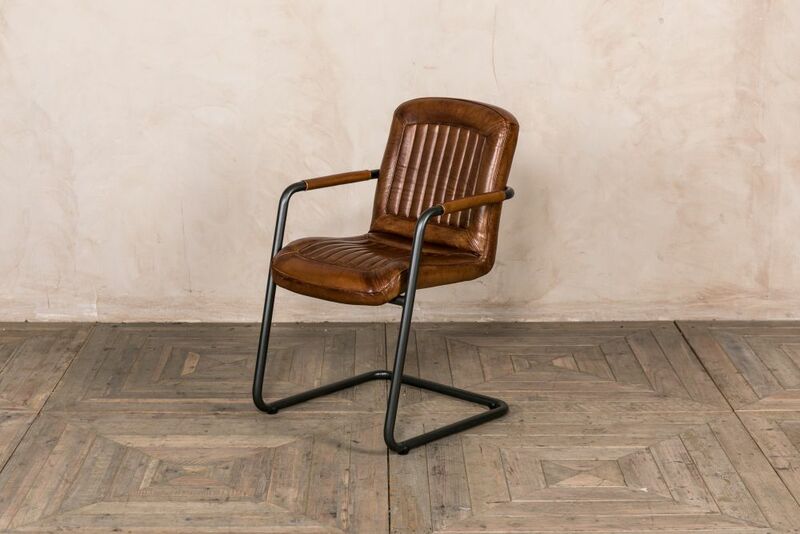 The leather dining chair's contemporary design would suit a variety of spaces; it would be ideal as a dining chair, desk chair or even a feature chair. 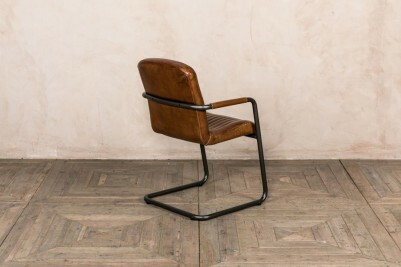 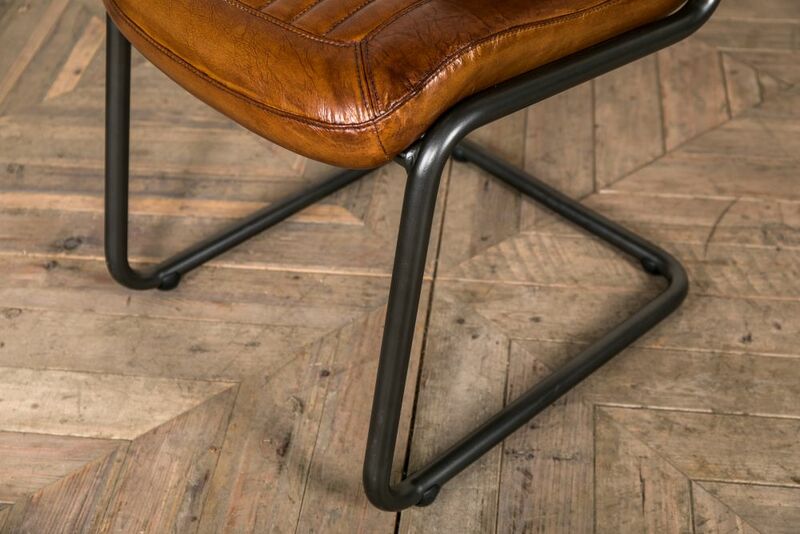 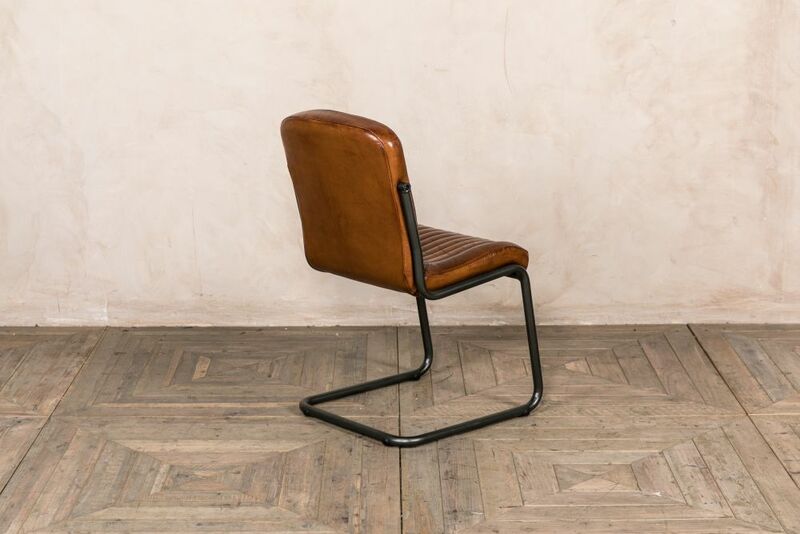 The chair would suit a modern style interior or could go well in a vintage inspired or industrial space due to its aged leather upholstery. 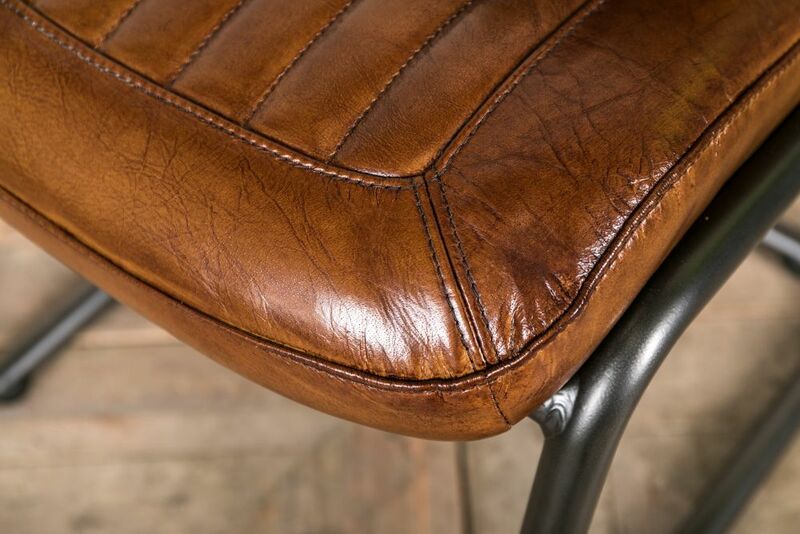 Please be aware that as leather is a natural product, marks and natural scarring may be apparent. 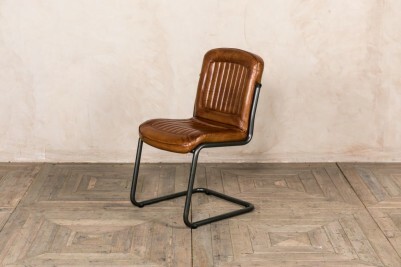 The price is for one ‘Sandown’ dining chair only, although more are available to purchase.